HOUSTON, TEXAS | A family barbecue and water gun fight turned after 15-year-old was shot. 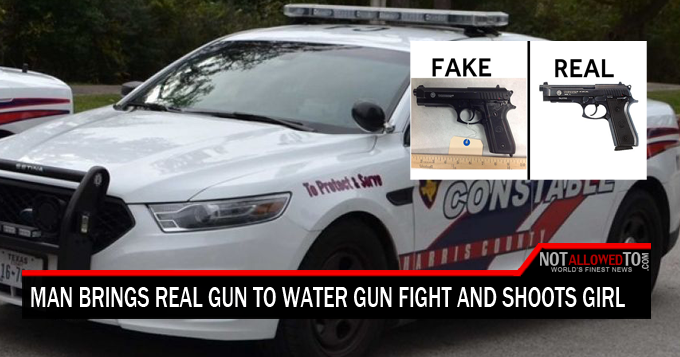 A real gun went off during a water-gun fight and the bullet struck a teen in the shoulder. According to police report, people at the barbecue were playing with water guns when the girl was shot. It appears the shooting, which took place around 5 p.m. was accidental. The owner of the 9-mm. gun, was taken into custody and could be charged with deadly conduct.